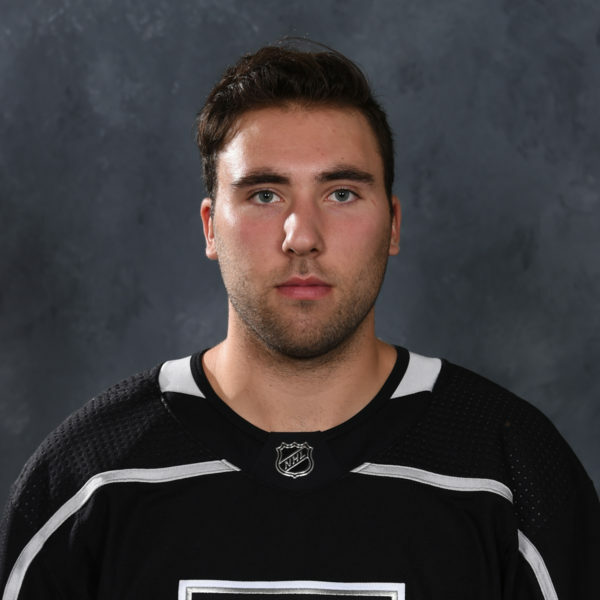 The Ontario Reign will open the 2018-19 season with three static captains – Forward Brett Sutter will wear the “C” for the second straight season with forward Matt Moulson and Sam Herr joining him with an “A”. 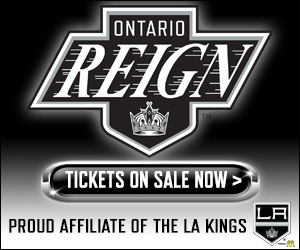 The three captains will also make up half of the Reign’s overall leadership group, according to Head Coach Mike Stothers, which also includes defensemen Kurtis MacDermid and Matt Roy, as well as goaltender Peter Budaj, who is currently up in the NHL on recall with the Kings. Stothers mentioned that the three letter-wearers will not change game-to-game in any sort of planned basis as was the case last season. 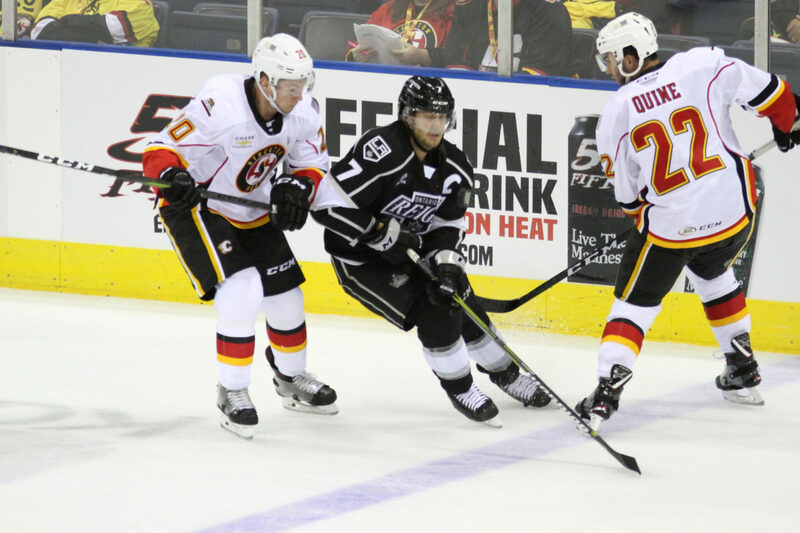 Brett Sutter returns for his second season as Captain of the Ontario Reign, after he was named to the role in October of last season. 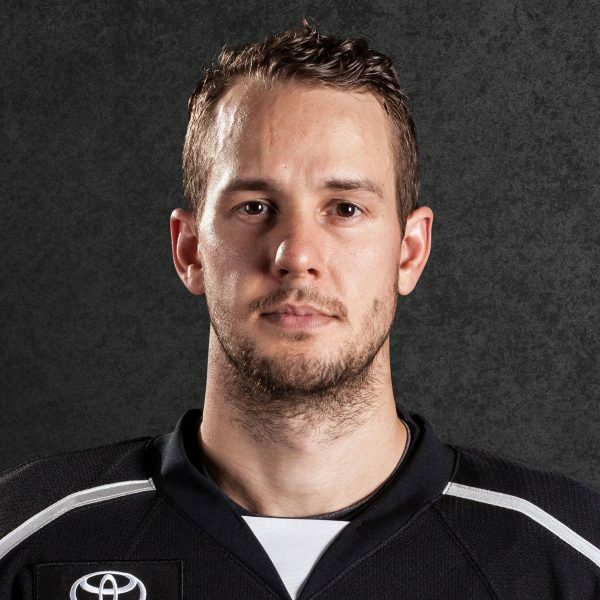 As Stothers noted, Sutter comes from a terrific hockey background and brings top-level work ethic, mentality and character to the Ontario locker room. Matt Moulson wore an “A” on his jersey at times with the NHL’s Buffalo Sabres during his time in the NHL. and will now wear a letter this season with the Reign. 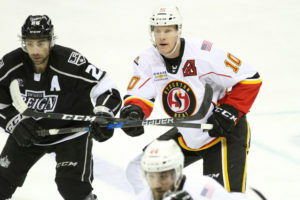 Stothers has previously praised Moulson’s attitude and leadership qualities and echoed those sentiments when discussing his selection as an alternate captain. The final alternate captain this season will be forward Sam Herr. 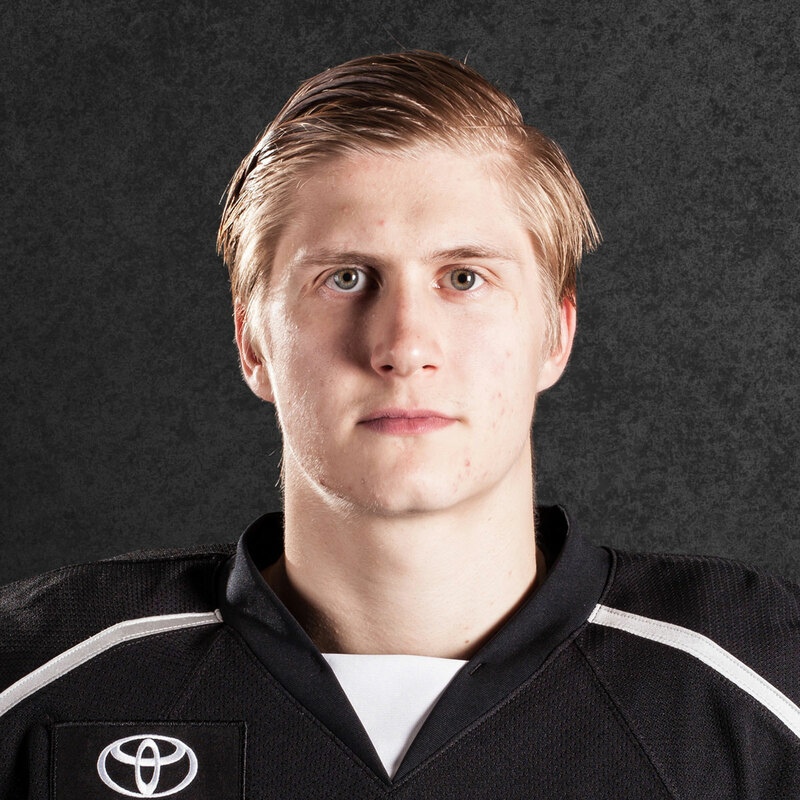 Herr is now entering his third full season as a professional and has spent his entire career to date with the Reign. Herr brings a lot of things to the table that coaches like to see – reliability, work ethic and character – traits that Stothers noted in why he decided to make give Herr a letter this season. 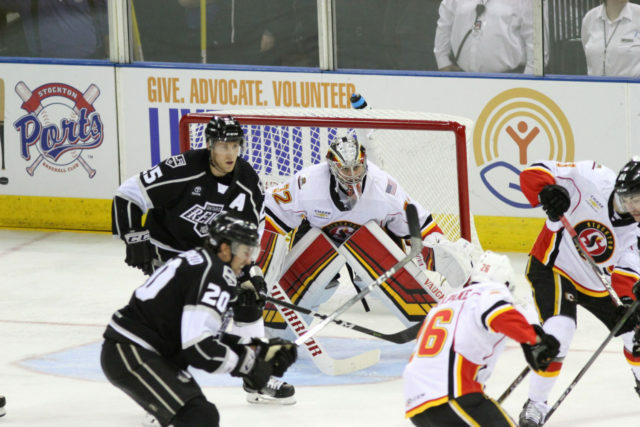 While Sutter and Moulson have worn letters before at the professional level, this will be the first time for Herr. 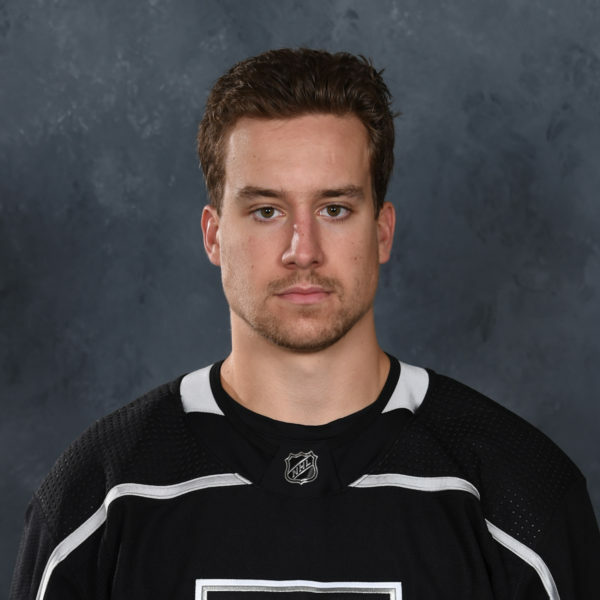 I asked the now third-year pro about being named as a captain for the first time with the Reign and he was especially honored to be thought of in the same light as Sutter and Moulson. It was an honor. It means a lot to be trusted by the coaches like that, by the players. I try to work hard, I try to get guys to realize that’s what it takes and it’s nice to be recognized for it. It’s a huge honor to be there with Stutts and Moles. They’re the definitions of pros. They’ve been around for a while and they approach everything the right way, whether it’s hanging out with the guys, whether it’s getting better, working out or practicing, everything is done the way it should be. To be associated with those guys, to be put in that category means a lot. Those are two guys that I’ve looked up to as players, phenomenal players, they just do everything how it should be. I’ll try to pick up some things that they do as leaders and they do as players and again, it’s just a huge honor to be wearing an “A”, let alone in that group of people. A little bit. The core stays the same, coming in every day and trying to get better, that’s not changing, but trying to be a little bit more vocal. There’s guys out there that have been in my situation that I was in my first year so if they need someone to talk to I’m there for them. There’s going to be a learning curve for guys coming out of juniors or college so I’m just trying to show them the way, whatever they need I’m there for help.